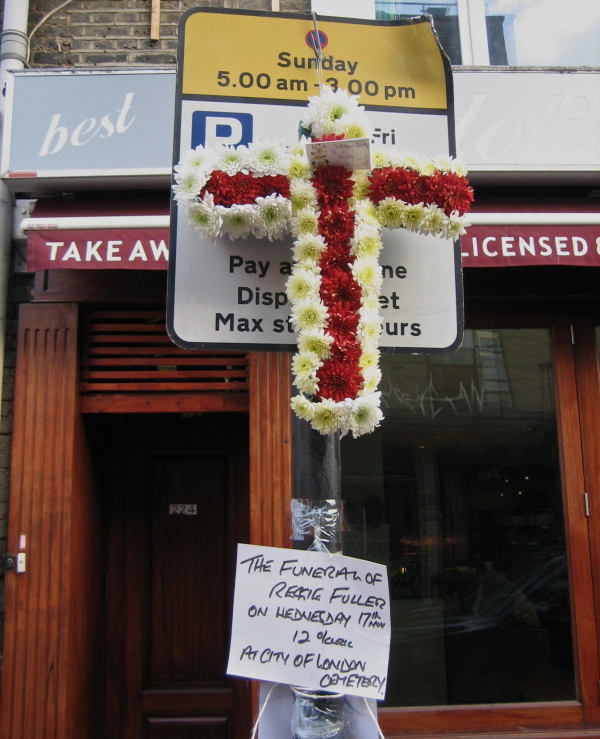 This wreath appeared at the top of Brick Lane recently to commemorate the life of Ada Patsy Kelly (maiden name, Fuller) who for many years worked on the Sunday fruit and vegetable stall at this site. She died at the venerable age of ninety four. You will be pleased to know that the stall is continued by her younger brother Reg Fuller (below) and I hope to see him there for many years to come. What a beautiful thing to do. 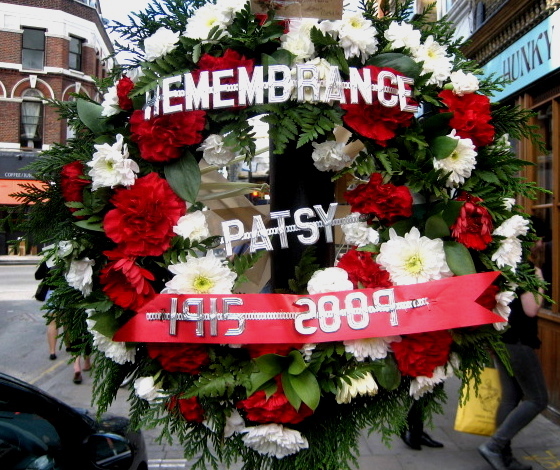 Long live the memories of Patsy & Reggie. So nice to know such human spirit still exists. My mother had a stall in Brick Lane during WW11 to supplement my dad’s army pay. 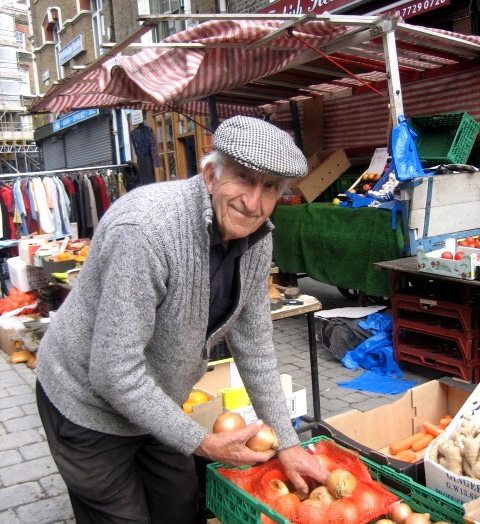 When I returned from evacuation I helped at the stall which was opposite the Fuller’s green grocery stall they were true East Enders; Pat was lovely, but we lost contact as dad made mum give up the stall when he was demobbed.